Even in the midst of an information explosion, the information treasures that make up vast parts of our cultural heritage are in danger of being lost, forgotten, or neglected. 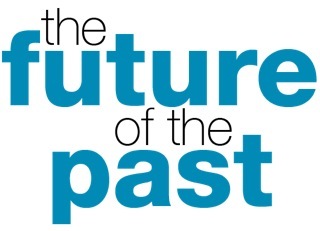 What new technologies can be harnessed to help us better access, understand and use the past? With support from the Robert W. Deutsch Foundation and the University of Maryland, the Future of Information Alliance and its partners welcomed “Future-ists” on the cutting edge of these issues for a week of events December 2-6, 2013. Topics ranged from innovative uses of satellites and 3D imaging, to confronting the challenges of archiving social movements. As stewards of our cultural heritage in an era of declining resources, how can we best keep the past preserved and alive for future generations? This FIA event hosted by the National Park Service at Fort McHenry included a discussion about the value of both place-based learning and virtual tools for engaging students and their teachers with history. The presenters have backgrounds in history, K-12 education, national parks as sites for learning, and Internet-based teaching and research. A live WAMU 88.5 broadcast of the Kojo Nnamdi Show was held at the National Geographic Society’s Grosvenor Auditorium. The first hour focused on ways that modern-day explorers can carry out archaeology from space, from the depths of the ocean, and by using ground-penetrating high-tech tools. In the second hour, thought leaders from the Smithsonian Institution discussed the future of museums and the power of new digital tools to understand and investigate the past. The Newseum hosted a program exploring the unparalleled challenges associated with the rapid expansion of content across all forms of media. Preservation and management of born-digital and other materials faces an array of obstacles – technical, financial, legal, and cultural – that were discussed by innovators working on searchable audio, the evolution of web search, and the archiving of children’s television and social movements. This closing event brought together all of our FIA partners to reflect on the week’s events. They discussed with each other and with the audience ways of enhancing the “future of the past” through interdisciplinary research and action. Ten FIA partner representatives shared the stage with Dan Russell, Google’s “director of user happiness,” and other participants from the week’s programs.